The figures given by Kuwaiti Foreign Minister Shaikh Mohammad Sabah Al Salem Al Sabah about the demographic composition of the work force in the Gulf Cooperation Council (GCC) states are an indication of the challenges facing the GCC in addressing the complex labour and employment issues in the Gulf. 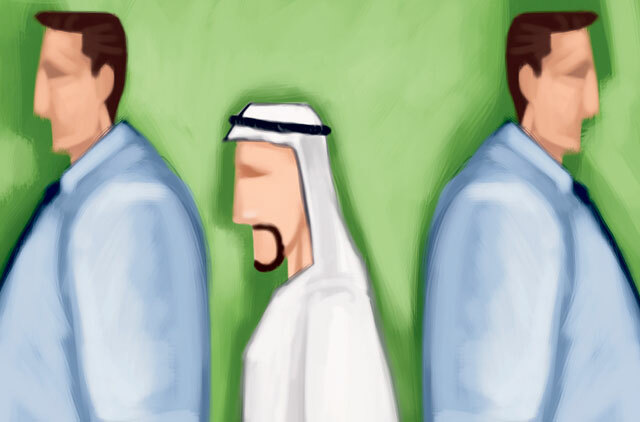 Al Sabah pointed out that foreigners constitute 90 per cent of the workforce in the UAE, 62 per cent in Bahrain, 65 per cent in Saudi Arabia, 65 per cent in Oman, 86 per cent in Qatar and 83 per cent in Kuwait. "By far, the foremost challenge to the Gulf Cooperation Council security and development in the long term, is the challenge of demography," he said during a lecture he gave recently in Washington DC, on the challenges facing the Arab Gulf countries. Other issues in question include security, economics and geo-political realities. "These vast discrepancies in the demographic make-up of all GCC countries represent a warning sign of the serious threats to the social, political and cultural fabric of the GCC society," he said. But addressing the complex labour and employment issues in the Gulf by itself is challenging. The mega projects in the oil- and gas-rich countries continue to attract labourers, and the vast majority of them are, at present, foreigners. Despite the fact that job opportunities are abundant, unemployment among GCC nationals is also rising. According to some estimates, unemployment among GCC nationals is expected to touch 10.5 per cent in 2010. The size of the workforce is also anticipated by some studies to increase by 30 per cent in the next 10 years, reaching 20.5 million by 2020. Saudi Arabia, the biggest GCC economy, will need to fill between 3.5 million and 3.8 million jobs by 2020, according to officials. In order to create job opportunities for the "emerging [national] youths" — nearly half of the GCC's 40-million population is under the age of 18 — the economic structure of the members of the bloc needs to be developed. Hiring nationals into the already saturated public sector doesn't seem to be the answer. Opening the doors of the private sector is necessary, but how to make the private sector play a bigger role in absorbing thousands of youngsters entering the labour market continues to be a question. Knowing the needs of the private sector and adapting to these needs is a must. Developing the education sector to help GCC citizens meet the job requirements of the private sector certainly an extremely important issue is not enough. There needs to be more investments in determining what the market needs for the next several years. There is a stereotype that GCC nationals avoid the private sector and seek government jobs because they require less time and effort. Income from the public job is guaranteed at the end of the month contrary to the private sector, which puts productivity at the top of its priorities and connects it with salaries. Such a view is hard to argue against. However, a change in attitude regarding the private sector has already begun, with more and more young GCC nationals willing to enter the competitive market of the private sector. The new trend has gained momentum with the introduction of programmes in GCC nations in the past two decades that promoting hiring nationals in different private sector fields, they would not have done earlier. For instance, young Omanis are working as taxi drivers and in the hospitality industry. In Saudi Arabia, there are thousands of young people who are joining vocational training centres and getting jobs at private- and public-owned factories across the kingdom. The emergence of Emiratis as receptionists and as cashiers at big supermarkets is no longer an unusual sight. Many prominent Gulf businessmen support efforts of hiring nationals, calling on authorities concerned to provide them with needed training. Apart from training schemes, steps like encouraging small and emerging business ventures and supporting GCC citizens to develop entrepreneurial ambitions are also being implemented. But some practices need to be rethought in order to boost the competitiveness of nationals in comparison to foreigners. Putting fresh graduates in senior managerial positions even though they might have graduated from renowned institutions is undercutting their ambitions. How will they advance after reaching managerial positions when they are in their mid-twenties? Nobody should deprive them of the opportunity of reaching high positions at a young age, but they need to take the time to enrich their experiences, expand their exposures, and polish their skills. Such an argument brings to mind career paths of experienced executives at multinationals. They recognise that new and, in many cases, young employees need to climb the ladder. Even though they are chosen from the "honour's list" of graduates, they are asked to cross-train in multiple divisions across the company before being put in decision-making posts. It is this type of internationally recognised "best practices" that will help boost a GCC national's competitiveness. Anything less is a disservice.